Wallflowers is in stores (finally!) and it’s been fun to see it popping up here and there. Then from paper it went into the computer where it was digitized, colored, perfected, put in repeat, checked, re-checked, sent off, checked again, and finished! More or less. I spent way too many nights on the computer and drank way too much Dr. Pepper…but having it done and in my hands makes it all worth it and I’m so grateful for the opportunity. Gorgeous fabrics, you must look at these and smile all day. LOVE these fabrics! They make me happy just looking at them. Wonderful fabrics – you must be so excited! Congratulations! Your fabric looks absolutely fabulous! Amazing colours…..I can see quilts made of that…..many! Congratulations!! How exciting :) Love the vines. Lovely fabric line! Congratulations on that wonderful accomplishment. Hi Allison! I love your beautiful fabrics! They are fabulous colours and the designs are so versatile. Congratulations! What stunning fabric, I love the colours. such beautiful fabric – definitely worth all the hard work behind it! WOW!! The fabrics are GORGEOUS!!!! Congrats! And thanks for the chance! Great fabrics. I love that there are some darks in with the lights. great design ! such fabrics make my heart sing…. You are a talented woman? Do you sleep? Congratulations on a really lovely collection. I can see a lot of must have stash builders in there. I'll look out for them here in the U.K.
How exciting to have the chance to design your own fabric range, and what gorgeous fabric's you have made. Well worth all the hard work and efforts! I just love your fabrics, great work! And that apron is darling!! That's a great line! Good job and congrats! An adorable collection! I'd be more than proud to own a few of these fabrics. Gorgeous fabric and lovely projects. I especially love the pencil quilt. Congratulations on getting your fabric range released. Can't wait to see it in my LQS and make something with it. How exciting!!! I love the colors! Love these fabrics! They are lovely – thank you for the opportunity to win some, I can't wait! The fabric is beautiful, I can't wait to purchase some to make a quilt. I have a four year old grand daughter named Sophie, your picture inspired me, I might have to make her a Wallfowers dress! Beautiful fabric! I love seeing your sketch, then the final results. And your Mom must be soooo proud…I love that she left the selvedge on the apron..so sweet. Thanks for the great giveaway! I just love, love, love this range of fabrics. Congratulations and thanks for the opportunity to win some. I loovee those fabrics; warm and lovely. Thank you for giving me a chance to win some! I like how sweet the prints are. It must be an amazing feeling to have your own fabric line. Congrats! I love your line! 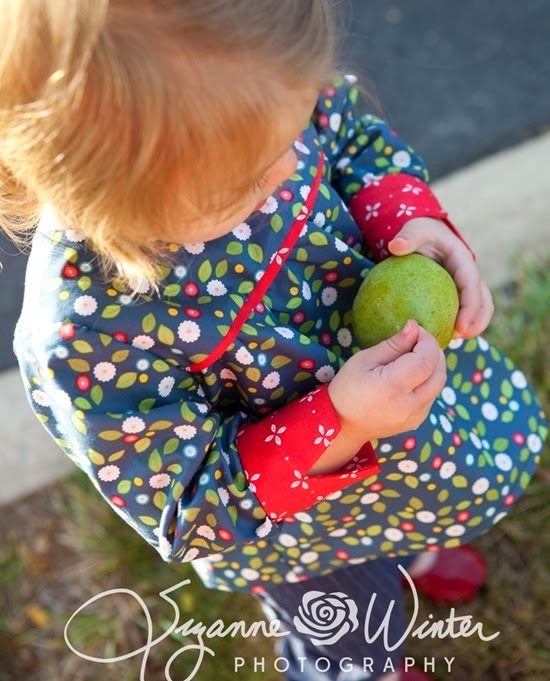 I'm thinking my girls will need skirts made out of the zinnia print for next summer! Lovely fabric. You must be so proud of yourself!!! Your fabrics are fabulous. Just looking at them make me feel happy all over. The flowers and all the colors scream "Fun"! Good job. Of all the blogs in my blog feed this stood out with a photo of this stunning fabric! So I clicked on it straight away. Wow! its beautiful – congratulations. I really love it. Amazing!! I love your patterns so I know I will love your fabrics. I need those fabrics for a quilt I can see coming. They are great. Keep up the good work! Congrats! Love your gorgeous fabrics. Oh man, the cuffs on that little shirt are killing me! Adorable. You are seriously one of my favorite quilters, so now that you have your own fabric line I'm pretty excited! Congratulations! These fabrics are so fresh and pretty! Wow! I love your design for this fabric, really beautiful! The fabric is so fresh and sweet. I need to make something for my newest granddaughter. Thanks for a chance to win! I dream of being talented enough to design my own range of fabric!! I love the colour combination you have used. I've been in love with this line since you first showed it to us on your blog. To win some would be great! Congrats on this beautiful Fabricline! Be proud! this is something special! Hello from across the pond. I started following your wonderful blog only last week and I was so enamoured by your modern take on your quilts that I gave you a mention on my blog, suggesting others might like to check out your beautiful designs too. Little did I know you had also designed your own fabric range! I love it and the apron your mum made is fabulous – she must be very proud indeed and what a lovely way to honour your new range of fabrics by leaving the selvedge on! So cute. Oh you must be so proud, they are you I can see your personality in them. I love your blog and have followed for a long time. So glad you have been able to do this. Thanks for the chance to win! Congrats on your new line of fabric. Can't wait to get my hands on some. Gorgeous fabric! And I love how your mom left the selvages on her apron. Sweet. Just beautiful. Thanks for sharing the process of designing fabric. I have always wondered how it was done. Thanks for the chance to win. Congratulations. I love the colors in your collection. So lovely — especially the big flowers and the small white flowers on pale blue. Well done! What darling stuff! Congratulations! Such an accomplishment. I especially love how you included the navy blues in the collection. What a lovely line! I love those big, pinkish flowers. Thanks for the giveaway. Have a great day. Love, love, love this fabric! So cute, hope you design more! Your fabric line is precious! Your mom must be so proud of you, and she showed it by leaving your selvedge on her creation. That was sweet! Absolutely lovely. I really like that shade of green. Love it-had the chance to see this in person at Material Girls while I was traveling this week. No room in my luggage meant I couldn't pick it up but it's on my list to order as soon as I get home. Winning some would be even better-thanks for the chance! How exciting for you to see your name on some beautiful fabric! Can't wait to get my hands on some! Allison Congratulations ! I follow your blog and so very happy that you have designed this wonderful fabric it is awesome ! TY ! Congratulations – that is quite an accomplishment! Beautiful fabric. Your fabric line is beautiful and I love the name. Congratulations! Congratulations! It's a great fabric line with a good mix of colors and lights and darks. Well done! Beautiful colors, I love the green stems, can't wait to get my hands on some of this! Oh how pretty! I love them all. And that dress is adorable! What a beautiful collection! I'll bet you spend a lot of time caressing the fabric!! I would!!!!! Thanks for the giveaway Allison! Great fabrics – love what your mom did with the salvage too. I wouldn't have thought of that. How fun to design! Now, I need to think of what quilt pattern to use so I can buy your fabrics! You must be so proud of these gorgeous fabrics. Looks like all that time was very well spent! Your fabric line is just beautiful! Full of energy and adorable! Love this fabric! Is sitting on my sewing table along with your pattern. Can't wait to start sewing! So pretty! Congrats on your beautiful fabrics! Thanks for the chance! These fabrics are SO pretty. I am sure they will be a delight to work with also…Oh, the possibilities! I just love these fabrics – they are perfectly wonderful! Congratulations! I love all the prints in this collection! Lovely fabric! Thanks for the chance! Congratulations on your beautiful new fabric line! Beautiful fabrics! I would love to make something with them! LOVE IT! So stinkin' cute! Thanks for sharing fabric and talent! How wonderful is that! I mean to have your sweet designs on fabric and then get to make something from them! Love the flowers and how they got to be. love, love, love the fabrics. Gorgeous! I love that yellow… Thank you so much for the chance! Congrats on your amazing new line of fabric! It is simply gorgeous! Thanks for the great giveaway! Congratulations! My daughter asked me to make her a dress out of the navy flowers when she saw it. Those fabrics are so beautiful!! Congratulations! Your fabric looks great! Thanks for the chance to win some. Fun and flirty, I love it! LOVE these fabrics!!! One of my favorite color groupings also. Fingers crossed that some of the vendors at the quilt show tomorrow have it in stock!!!!! you have such a beautiful collection of fabrics! great job! It must be just AMAZING to see a pattern you drew realized into fabric. And what delicious fabric, too! Would love to sew something pretty up with it. What fun, happy fabric! Thank you for the give away! I love your designs. I have to check the shops you listed. Definitely need the zinnias. It's to bad you can't put those baby bunnies in your etsy shop! They'd be snapped up right away. My daughters are so jealous. Thanks for the giveaway. Congratulations!!! What a beautiful collection..the colors are lovely together. such pretty fabric. I especially like the pink flowers (zinnias) on the blue. love the cute vintage style prints! great line. I can't imagine how many hours it takes to bring an idea to completion as a whole fabric line. Congratulations! The fabric is beautiful! I love Amal the designs and the colors! Yum! I would love to win this collection. I've been wanting to learn how to quilt. Congratulations! What a beautiful line of fabrics.i really love the small leaf and dot print. Congratulations!! The line is just beautiful – and it is so you…..beautiful, clean colors and designs. Your Mom's apron is adorable – she must be so proud! All the best…. I love love love the wallflower fabric, good for you! Allison, the fabric is so nice. I love the pink especially and how it goes with the rest of the colors. I would love love love to sew with these fabrics ! Love the designs and colors you used! Congratulations! That is so exciting! The fabrics are just beautiful! congratulations – your fabric is lovely! Congratulations. Wow your own fabric line :) Will be looking out for it in the local quilting store. Would love to win a prize but in Canada so might not be eligible? what beautiful fabric. Love it so pretty! Thanks for the chance. Love the fabrics. You must be so proud to see the finished product after all your work. Beautiful! I love your first line!! Can't wait to see what the future hold for click cluck sew and your adorable family. Miss you guys!! Love the colors and designs in your fabric line. I am hoping my LQS will carry it so I can see it in person. Thanks for the giveaway. I love the colors in this line! Thanks for the the give away! Your fabric collection turned out gorgeous! I just loved the colors you used. Excellent work! Love the Wallflowers collection. Thanks for the great giveaway. Allison, thank you for sharing the process, more or less, of how you designed your fabric. I love the simple flowers and the color combo. What a cute fabric collection! I can't imagine the work that goes into that process. Congrats! Wallflowers is just lovely! I look forward to getting my hands on some! I love your patterns too! Wow! What a beautiful collection. I really love the print used in the toddler shirt near the end of your post. Congratulations!! I'd love to make a cute quilt with these! I love the darks and lights together. Adorable! I would LOVE to get my hands on some of this fabric. It would make a gorgeous quilt! I love your line, can't wait to purchase some, but winning would be ok too! Congratulations! What a great accomplishment! Congratulations! These are beautiful fabrics! You must be so excited to finally have them in hand! Ahhh!! It's so wonderful!! Exactly the colors I love! Love the prints and colors. Also – love your book and i'm halfway though making a scrappy reader pillow… aiming to make three as gifts by Christmas! Wallflowers is beautiful! Congratulations on the new line. Wonderful! Now I have a new must have line of fabric! Awesome job. I am loving your collection! The colors are so happy! such gorgeous fabric, thanks for the chance to win some. I used one of your patterns for the first quilt I made and am slowly making my way through your book. I would love to use your first fabric line in a number of projects! Love your new fabric. It makes me want to quilt up a storm. oh, i love everything about wallflowers especially the "stems" fabrics! This fabric is the cutest I've seen in quite some time. Love the colors and the sweet flowers. Thanks for the inspiration! Congrats on your first collection! Thanks for the giveaway! Gorgeous fabric! I'm going to have to get away from the kids and find myself at the quilt shop! Your blog is still my favorite of all quilting blogs. Love your style. Your colors. Your talent. Thanks for sharing with us! Love the new collection, just beautiful! Love the colors in this fabric line. Some of these quilts shown are my favorites to make 'some day'! I loved the peek of your sketch! I think my favorite print is the little four petal flower/leaf and dot, or maybe the cathedral windows type petals and the large scale flowers are stinking cute. :) Lovely line! Congratulations! BEAUTIFUL! Thank you for sharing the process. It is so intriguing to learn how fabric is born. Congratulations, Allison! Wallflowers is just beautiful. I have a trip planned to my LQS today so fingers are crossed that it is there. Congrats on the new fabric! You should be beaming with pride!!!!!! I love the new fabric! Congrats on creating such a lovely fabric line. Very pretty. Congrats! Its adorable! Id make a beautiful baby quilt! Wow what beautiful fabrics. Congratulations! Oooh, I just love this collection! Congratulations, it's beautiful. And I love seeing the design process from the beginning, too, that's really fun! Thanks for the chance to win some of your lovely fabrics! I love it and am in awe of anyone who cn put together a collection of fabrics that will work for both home decor, garments, and quilts! You're amazing. Would love to win some goodies. These fabrics are adorable- Congratulations!!! I would love to win. It's a beautiful fabric line… You should feel very proud of yourself! LOVE your beautiful, fun, colorful wall flower fabric! I can already see several quilts in my mind! These have been a long time in coming! They are gorgeous. Thank you. I love this fabric! Thanks for the chance to win! Congratulations! The fabric is gorgeous and I like the calm, sweet vintage vibe. How exciting for you!! Congrats! I'm new to quilting and these fabrics are just so amazing. I hope to get my hands on some! This is one I've been anxiously waiting for :-). I rarely but all the fabrics in a line, but this is one that I will. I love every one of them. Thanks for all you! What a beautiful line of fabrics! The colors are soft and vibrant, just perfect for a cuddly quilt! What beautiful fabrics! I love those colors! What a wonderful talent. I have always loved your work! Thanks for the chance to win. What beautiful fabrics! I love the large flower and the stem prints, so pretty. Congrats to you on this wonderful collection! Would love to win this fabric! It's gorgeous! Love all your work Allison!! Congrats on your fabric collection! Such fun prints!!! Love your new fabric! Congrats! I love your eye for fabric! Thanks for the chance to win some of your beautiful fabric! What a beautiful line of fabrics! Thanks so much for sharing photos of the beginning stages; guess I've never seen up close to see how fabrics are designed. Congratulations on a job well done! Yes, I'd love to have these fabrics in my stash! Congratulations, They're adorable! I'd love to win! Beautiful fabric! It gives me lots of ideas for future quilts! That is very pretty fabric! I love both the designs and the colors. Nice job – congratulations! Congratulations on your fabric line. It's beautiful. I am excited for you and will look for the fabric.. I love its shade of color it shows when its all together and the flower reminds me of my PawPaw and I plant them every summer here in Texas.. I love those red flowers on the aqua background. It's fun to see the process you use too. you inspire me to create. I too love the top made from your fabric. Congratulations! That was one long labour of love! I remember taking part in your design contest and it is such a fun fabric collection to play around with. Congratulations! Your fabric line is gorgeous! I love checking your blog daily to see what fun things you come up with. Cute bunnies are a bonus, and I even tried to get my husband to adopt one of those fuzzy cuties. Thank you for being an inspiration to my beginner-quilter self! I love the fabric! That green print on top is soooo cute! All of you patterns are feet and your book is on my Christmas list. Thanks for the chance to win. Love the shade of blue you chose. So pretty. LOVE the Zinnias. LOVE the colors. LOVE the polka dots. I'm so happy for you!Congrats. Love the fabric! I would love to win some. Congratulations! Your new line of fabric is absolutely gorgeous! Thanks for the opportunity to enhance my "stash" . . .
Yvonne M at "quiltgrane AT gmail DOT com"
Congratulations on your new line of fabric. Thanks for the opportunity to enhance my "stash." How it exiting it must be, your own line of fabric, congrats! It's gorgeous! This is an adorable line! Congrats on the great accomplishment! 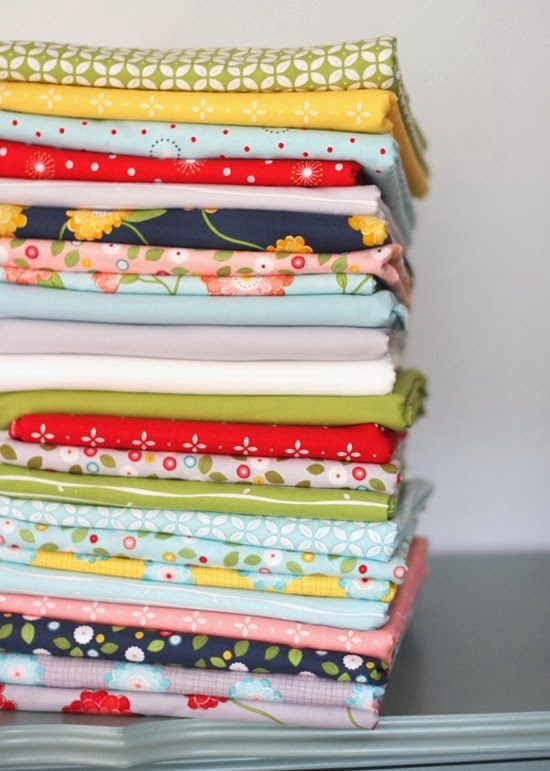 I love the colors of this collection…..I can picture a sweet quilt for a little darling girl. Congrats!! Love your Wallflowers line! And, everything you do! I have your book and just made quilts for my twin nieces from it. Thank you for sharing your talents! How exciting! It is so gorgeous! Such cheerful fabric, love, love, love! Thank you for a chance to win some beautiful fabric! Beautiful fabrics and what a gorgeous collection! Congratulations! OMGorgeous prints!!! And that apron, SWEET!!! Cannot wait to get my hands on the entire line!!! Beautiful line of fabrics. Congratulations! You drew that yourself? Awesome! Congrats on your new fabric line, it's very pretty! Love the fabrics – thanks for the chance to win! What fun fabrics! I love them. Congrats, what an accomplishment! So pretty! Thanks for the giveaway! Oh how I love your new fabric. It is so my style. Would love to win some! Ahhh… the anguish and joy of the creative process! I am so glad you persevered… this is such lovely, whimsical fabric! Okay, so I'm a diehard Bonnie and Camille fan and if I ever have any extra pennies to spend on fabric, it's theirs. But I am LOVING this! It's so happy!! And I love how multicolored it is. I think i'm going to have to splurge on this now! Love the combos – congrats. Oh my!!! Count me in count me in! Love the fabric! Can't wait to pick some up. I'm hoping that our LQS is carrying this fun line of fabric you designed…please enter me in the drawing!! Gorgeous! I love the apron with the selvages left on too. what a wonderful idea! What a sweet line, congrats! Congrats!! BEAUTIFUL!! Love this fabric! You must know that I love this line! :D The soft palette is gorgeous. :) Congratulations on its release!! Don't you just do a little squeal every time you look at those selvages on the apron and see YOUR NAME???? That's such an awesome idea to celebrate your "arrival"; I wanted to hug your mom and I don't even know her! It's so much fun watching things take off for you – congrats! 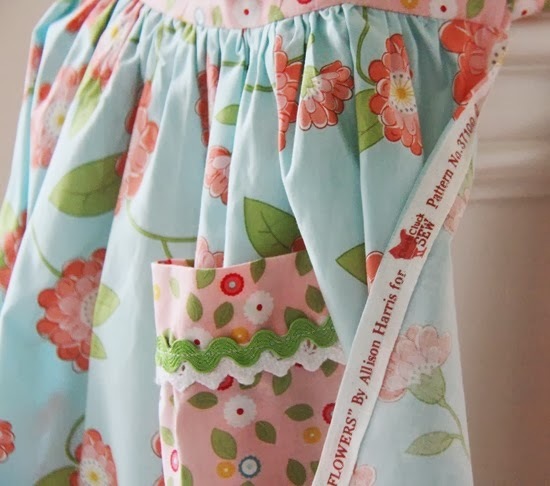 Beautiful colors, and I love the apron your Mom made and the fact that she left the selvages on, so sweet! Ah! Would love to win. Thank you for sharing. they're beautiful! Most of your quilts must have sold quickly – I just looked and there are only two left. 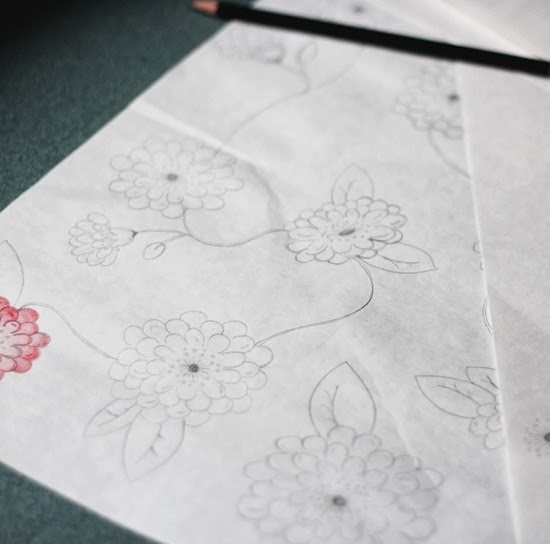 :) I am loving the fabric you designed, and thanks for sharing your original sketch – neat to see how it began! Congratulations. They are wonderful. I have a couple of favorites I have been eyeballing. Beautiful, I hope my quilt shop has it already – I'm going there Saturday! How lovely to have all your ideas finally come to fruition. Congratulations! Would love to try out some of your delicious fabric! You are so talented! congratulations! All fabrics are very pretty! It is a delightful collection and one to be very proud of. Well done. I look forward to creating some wonderful little mug rugs with it. I love the bright, fun colors in this collection. Beautiful! Wow! Beautiful line of fabrics! I'm amazed by how much you get done, Allison. Thanks for being an inspiration. SO cute, I hope you are over-the-moon proud of yourself. It is my dream to design fabric and I've been taking classes to help me along the way, so I am SUPER excited for you!!! And, for good measure, more exclamation marks!!!!! Love your new line! Congratulations! What adorable projects using your fabrics! Thanks for the chance! 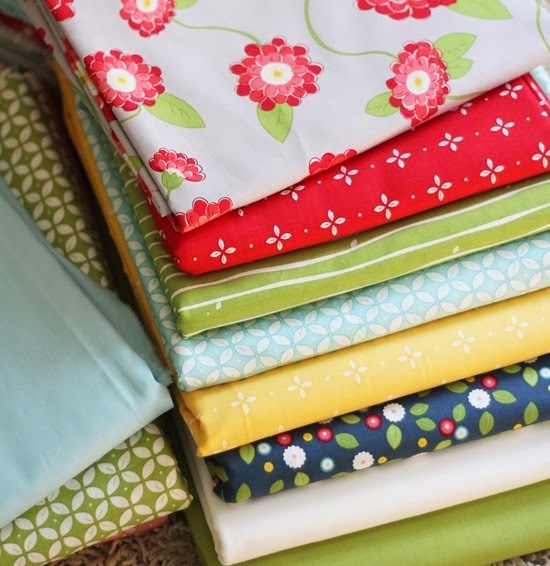 I haven't done much quilting – yet, but these fabrics are lovely and I'd be thrilled to win. Love! Your collection is so cheery and fun! Thanks for the giveaway! You must be so proud; they are lovely. Oh Allison I'm so happy for you!! I love the colors and patterns of each pc! Congrats!! I won one of your fabric collections from Fat Quarter Shop about a year ago and am still hoarding it for the RIGHT project!! Congrats again! Wallflowers is so gorgeous!!!! Would love to win some. Thanks! Oh how charmingly Vintage…Congratulations on a really beautiful line of fabric! I knew you would be a success at WHATEVER you did. These are so YUMMY!!!!! Can't wait to create something for your granddaughter out of these prints. Oh my goodness, such gorgeous fabrics!! How exciting for you – congratulations on a beautiful range. Now off to find some for me to have!! Your fabric line is so beautiful. I'd love the chance to make something pretty from your lovely fabrics. Good luck with it! I'm sure it will be a great success. lovely fabrics! glad it is finally available! Oh your proud mama! how sweet is that selvedge!!! Congratulations! Congratulations! That is so exciting!!! I love the colors you have used. I especially love the wavy green stripes! The fabrics are beautiful, you must be so proud. I love your inspiration design. How fun to see your pencil sketch and after lots of work the final fabric print. A true sense of mission accomplished! Congrats! I love that little girl's shirt. The contrast on the navy and red prints looks fabulous! That fabric is stupendous!!! I can't wait to get my hands on some of it! Wow I love it! Definitely going to buy some! (: Thanks for the giveaway! Wow! You are such an artist. Love the fabric. Thanks for the opportunity to win! I can see these fabrics used in so many different ways! Would love to be chosen so I can make something with them! I went to my quilt shop today specifically to pick up a couple half yards of Wallflowers; I figured they had been out for a while! I went thinking I would get just 2 half yards; the navy small floral and the light blue with red dots…but couldn't say no to a few others as well and came home with 5 different cuts. Love it!! They are beautiful. You should know I've resisted buying fabric "just because I love it" all year. That was a goal for me–only buy when I have a specific project with a specific yardage need. Don't have anything in mind for these wallflower cuts yet, but I couldn't say no. I just couldn't. A bundle would be great to supplement the few cuts I got! So so cute! I would love to win! These are such pretty fabrics! How exciting to design your own fabric! I don't think I have the creativity to do it. I like the flower fabric very much and the matching colors. Congrats! Lovely fabrics, lovely colors, and lovely prints, wonderful line. Great job. How exciting to design your own fabric! They are beautiful!! What a gorgeous fabric line. Congrats! Congratulations on your fabric line! It is stunning and oh so pretty!!! Congratulations on your fabric line. The main print is my favorite. By the way, I just bought one of your quilts ;). Beautiful! Love the color palette. They are just gorgeous fabrics, you're quite right to be proud of them – I love that your mum left the name showing, it's perfect! So cute! It makes me happy to look at it. Gorgeous! I can't imagine how thrilled you must be. Congratulations! So beautiful! I absolutely love the top with the cute little cuffs and piping. I love your happy patterns and colors! Great collection – nicely done! I especially love the little flower crosses! I love the fabric — Wallflowers — I can wait to get my hands on some of the fabric. These fabrics are beautiful!! Congrats on finally having it finished!! You have the coolest job EVER!! I cannot wait to get this into a project using this new fabric! This must be so, so exciting! Congrats! Great job with your line! What great patterns. And thanks for the chance to win. Congratulations! Beautiful fabrics. I love the red prints and the blue prints together! How exciting! I would be smiling all day if I were you. Thanks for the chance to win some fabric happiness. Oh my gosh!! I love these fabrics so much!! Your mom's apron is so cute!! Cute! Cute! Cute!! Beautiful fabrics! Congratulations! Thanks for a chance to win. I love your work, always have! And now you have your own line of fabric! You must feel like a new mom? Was the delivery any easier? I would love some charm squares, they're just my speed. lovely fabric, your choice of colors are perfect. Very Retro Chic– My favorite is the zinnia flower prints – so realistic. The greens really add a "pop". Congratulations!! More inspirational quilts are on the way. Imagine my surprise and excitment when I walked into my LQS this past week and RIGHT in the F R O N T was your new line of fabric…Wallflowers!!!! WOW!!! It is so pretty and I am looking forward to purchasing some to make a few Christmas gifts! :) Congratulations to you on your fabric line and book!! Congratulations Allison! I just bought a jellyroll of Wallflowers. I love the vintage feel of this fabric line. You are a talented fabric designer! I LOVE it! Great colors! caraleesearl at yahoo dot com. Thanks! What a beautiful line–makes me smile! Thanks for the giveaway!! Lovely fabric! I'd love to play with it! Thanks for the chance to win! Would love to win some of your beautiful fabric! Thanks for the chance! So Cute! Thanks for the chance to win!! Pretty fabric, and its fun to see a bit of your process. Congratulations. Wow, Congratulations on your new fabric collection! I love the fabrics, so pretty. Thank you for the opportunity to win some. I love these prints. You picked out such perfect colors. I can't wait to use these in a new quilt! Lovely line. I can't wait to see them in person. Love the new design and colors! Can't wait to see the first quilt you make with them! Beautiful! How amazing to be able to create fabric. Congratulations! Love the fabric! It's all sew beautiful! I am in love with this bundle! Congrats! The collection is so fun! That is an adorable line of fabric, I will watch for it in my LQS. Your Wallflowers fabric is beautiful and it is so interesting to read how it all came about. Thank you. Oh, boy, I look forward to seeing if I could win some fabric cuts from you! Thank you for the opportunity. OMG!!! This is so cute! Love your fabric: I already have the blue and the pink and the yellow color-ways!! Got it from the intrepid thread!!! Such a lovely line: you should be proud of yourself!!! I love your fabric it is beautiful and so are all the quilts you make! So, so pretty! Love the colors and the sweet flowers. would love to win, just getting back to sewing now that the weather in Rexburg is turning cold and windy. It is so sweet that your mom kept the selvage with your name on it! Love, love, love your Wallflowers collection! You have such a good eye for colors. Such sweet fabrics…a real labor of love! Congratulations on your new fabric line. They are gorgeous! Can you hear me squealing? These are so cute! Love this new line cannot wait to make something out of it. As a Mom myself I am sure your Mom is very proud of you and that selvage. Thank you for the opportunity to win! What an accomplishment! These fabrics are joyful! I love the photo of your daughter in your fabric, too! Congratulations! You're fabric line is beautiful. I'd love to get my hands on some. The fabric is quite appealing; clever mom to leave the selvage on! I am drooling! I would love some fat quarters and I will be heading down to my local store to find your fabric there. Yay! Congrats! Beautiful!! Would love to have some pieces!! I love your fabrics, but you already knew that!!! Thanks for the giveaway, I would love to win! Thanks for sharing some of how you designed this collection! So much work deserves a DP here and there!! How else do we finish anything? I would love to win some of your delightful fabric! Thank you!! It's beautiful. You're a very artistic, creative person. What an absolutely beautiful line! Love every piece. Absolutely beautiful. You should be proud! I'd love to win some. Thanks for the give-a-way. Great fabrics and patterns. I love that your mom left the selvage on the apron so she'll always know you designed it. Congratulations on a great job! Congratulations!!! It must feel like giving birth and finally seeing it after such a labor of love :) Great job, love them all! Allison, as a Mom myself I totally loved the selvage and would have left them on myself with my daughter's name all over it. Good job. I love your designs and your fabrics. I have really enjoyed watching your brand grow and seeing your success. Gorgeous fabric line :). Congrats :). Perfect for quilts and skirts for little girls :). This fabric is a must have. Must have one pack on my desk to look at and play with and many more packs to actually quilt with. Now to select a cute container to hold a desk charm pack. Would love, love, love to use these fabrics in a Linus quilt! Where can I find it in Seattle? I wish I were closer to that Quilt Barn in Hansville! It must be so satisfying to see your project to completion! Love the red and gray color wave and the greens! Thanks for the chance to win! Another great fabric line!!! I love everything you do, congratulations. I love Wallflowers! I think Wicker is one of my favorite quilt patterns. Simply beautiful. What an eye you have! Loving that sweet top too. I remember the first time I stumbled onto your blog. So glad I did! Love your tutorials and the new fabric! You are one of my favorite quilting bloggers! I am such a fan of your patterns and now your wonderful designs. Thanks so much for sharing your creativity!! What fun, cheerful fabric. It would be great to work with during the short winter days…a reminder that spring will come again! Thanks. The first time I saw a picture of this fabric I knew I wanted it. I haven't had a chance yet but it will probably be part of my next purchase! I work with a group of homeless women veterans and we make quilts for other veterans in shelters. I am sure they would love to use these fabrics in a project. What fun colors and beautiful prints! I love it! I love everything you make, and now fabrics? Just perfect!! Congratulations! Thanks for sharing the process of the fabrics coming to life. Facinating. And thanks for sharing your beautiful fabrics! Congrats! What a fantastic fabric line – be proud of all your hard work! Bought your book – can't wait for it to arrive and then to match your fabric with the right project!!! Thanks for writing the best blog, just love it! Love love it all! How lovely! This fabric is so you – just love it! Beautiful fabric. I will lokk to buy some. This line is so versatile! Just beautiful and I am crazy for the quilt in the lower right corner of photos. Where's the pattern? What a gorgeous line of fabrics. Love the apron your mom made, how proud of you she is. Congratulations. I am in awe! The new line is just lovely. Oh it reminds me of spring on this dreary rainy Halloween. Thanks for a chance. What beautiful fabric! You must be so proud. Congratulations! Love all your stuff! Congrats on the fabric line! So beautiful! I love the different combinations ou have created! I love the fabric you are so talented! Your quilts are beautiful! I Love thee beutiful fabrics! Won't it be fun to see all the different ways they will be used? What an incredible accomplishment. I am sure your momma is one proud lady! Lovely line of fabric. They would be perfect for a pattern I have that is waiting for fabric. Congratulations! These are great and I'd love to create something with them. I appreciate the chance to win! I love all your quilts, they are beautiful and the fabric is wonderful too!!! You inspire me to make time to quilt more!! There are so many projects Wallflowers would lend itself to perfectly. Lovely. Love the fabrics! Great job! The fabric is beautiful. Thank you for the glimpse into your design process. Love the fabric, thank you for a chance to win. Beautiful fabric! I LOVE the large floral on aqua print. Congratulations on your fabric line! It is SOOO cute and perfect for making something(s) for my new first niece!! This collection is beautiful.I really love it and you are right, it makes up beautifully.The designs and colors are so pleasing to the eye; just makes you smile. That was special to leave the selvage on with your name! Ah, moms are so clever, aren't they? Love your new line, btw – congrats! These are pretty, pretty, pretty in a happy, comforting sort of way. I love it! Thanks for sharing some of the process with us! These are so beautiful. Just started folowing your blog and had no idea you designed fabric too. Congrats to you and thanks for the chance to win. What a great line you designed! There are some great blenders in there! I'm in the process of making the colored pencil quilt for my little one's preschool teacher. Going to embroider each of the kids' names on the pencils. :) Love all the quilts in your book! Congratulations! Really pretty fabrics. Thanks for the chance to win some. Congratulations! What a beautiful collection! Looks like it would be so much fun to sew with!! Sew fun to have your name on the salvage! I just love Wallflowers, congratulations! You are so talented. Wallflowers is an adorable collection! Thank you. What a beautiful line of fabrics! Congratulations, you have every right to be really pleased and happy with them all. Beautiful creations, I love it and how exciting for you. Beautiful Fabric! Love it and have already got plans for it in my head . . .
That apron is just too cute! I'm thinking this collection would be great for granddaughter quilts! Your fabric is gorgeous thanks for chance to win. What pretty fabrics! What a lot of talent! thank you for the give-a-way. Congratulations! How fun to see your dreams come true! Thanks for the giveaway! Can you ever have too many quilts? LOVE this fabric…you did a wonderful job on it and should be proud! Congrats! Allison, Congratulations!!! These are so fun and beautiful! And I love what your Mom did!! She is awesome, and obviously so tickled for you, and proud of the beauty you are sharing. the creativity you are unleashing in the world and the vision/goals you have accomplished!! Those late nights and Dr Peppers paid off. Well done! Enjoy!! PS I'm a Pepper too. I love the prints! Wallflowers is beautiful! Thanks for the chance to win. marbkfly@yahoo.com. Your fabric is gorgeous! Thanks for the chance to win some! What an amazing dream come true for you. Congratulations! Beautiful fabrics! Congratulations, they're the perfect blend of traditional, vintage & modern! Congratulations! I absolutely adore your Wallflowers fabric! Beautiful!! Congrats! What a beautiful collection! Lovely fabric designs. Fun to get a peek at the design process. That flower you highlight is really a pretty one; I can see how you'd be super happy to see it printed. Great fabrics! I love seeing some of the design process. Can't wait to get my hands on some of these. This is such a lovely mix of colors and prints! It makes me itch to sew something immediately! What beautiful fabrics and in such lovely colors, too…thanks for the chance to win some of it! Beautiful in every aspect….design, color and heart! You obviously put much heart into this project….the results say it all! I really LOVE the charm, poise and personality that you have given WallFlowers, you did an absolutely awesome job on this, I just adore it! Congratulations. I can only imagine what a process it must be to get fabric created, but the end must be so exciting. They are darling. What an accomplishment. Congratulations! Thanks for the chance to win. congratulations, what pretty fabrics. Your moms apron is great and the little top is just too pretty. Your moms apron is the BEST!!! She had to leave the selvages on cause it has your name on it… so cute!!! I'm so proud of you Allison…. you have accomplished so much in the 5 years I have followed your blog! I am pretty new to quilting but I found your book last month at my neighborhood fabric store. I just couldn't help getting it. Since then, I am a huge fun of your design and quilt. And actually I've already ordered your these fabrics (Charm packs and a jelly roll) via online and waiting for receiving right now. Thank you so much for delighting and inspiring me, it should be a really fun project! How exciting to design your own fabrics!! Wooohooooo!!! Congratulations!!! They are Gorgeous!!! Completely lovely! Delicate. Inspiring. Way to go – what an accomplishment! Congrats!!! How exciting! I can definitely see the Dr. Pepper influence in them LOL!! Thanks for a chance to win some – they are all beautiful! Congratulations! on making a gorgeous line of fabric and thank you for sharing a small part of the process you went through. It's beautiful! I can't wait to get my sewing machine needles into it! Yea! Party!!! Congrats on your fabric design! I love the colors, they blend so well together. Thanks! great job, I love the navy's you used. Very, very exciting! I've been following your blog since you came out with your first patterns and it's neat to see where you've gone! Lovely fabric! I love these Allison and could use a few pieces for some cute doll clothes. The first flowered print is my favorite. Congratulations. You will always remember your first line and I will too! Just loaded this in my online cart at my favorite quilt shop! What a cheerful, fun set of fabrics! Love this new fabric and all your quilt patterns. I have bought quite a few of them. I would love to win the give away. I love the well edited clean look for your designs and fabric choices– they are all different but look very fresh..
Beautiful fabrics. I love the navy one with the big flowers. So cute. These are gorgeous and so HAPPY! love it! Wow!! What a great collection! I love that the selvage was left on the apron too! Beautiful fabrics! I just love the. Congratulations!! Those are such beautiful fabrics, I love them! Congratulations on your new fabric line, they are beautiful! sewing for my grandkids with your fabric line… so cute. Crossed fingers! Thanks for the chance. Congrats, the line looks great! Congrats! So much to love about these!! Good for you! It's amazing how different your sketchings look when they are printed on fabric. Anxious to see your fabric in person!!! This fabric is beautiful! Thanks for sharing your amazing talents with us and for the giveaway! Gorgeous fabrics – you must be so proud!! love your new fabric, Allison and your blog as well. I'm a faithful follower. I love how cheery the fabric is and the little prints mixed in there too. I'll be keeping my eye out for it. Have you done your class in Victoria? I'll have to check out that shop next time I'm down there. Did you go to Bib and Tucker? It's an experience. Happy quilting. I love your new line! Thanks for sharing!!!! Absolutely adorable fabrics! Thanks for sharing. These are such lovely happy colors. Congratulation on a successful launch of your fabrics! I'd love to have some of these to play with. How fun for you to see your idea and design in fabric. Thank you for sharing your talents. I can see a very cute quilt in my future. This is an adorable collections! I love the cheerful feeling I get looking at it. Well done. This fabric is yummy! Congratulations to you! Congrats Allison… What beautiful fabric!! Congratulations!!! How fantastic to see your ideas turn into a reality. I love the apron!!! Beautiful fabrics that are now on my want list! Congratulations on the new fabric! It is beautiful!! beautiful fabrics! I love the color palette. I love the apron with the selvage. Cute idea. Love this collection! Congratulations! And thanks for a great giveaway! Very pretty! Congrats :) I often wondered how fabric design was done…and wondered if it started as a paper drawing or if it eas done by computer…how cool. Thanks for the chance to win your beautiful fabric! Congratulations and Way to Go! Love alllllll of these prints! Congrats!!!!! And thanks for the chance to win some! BEAUTIFUL!!! WOW, I can only imagine how you feel having created something so beautiful that others will be able to use to create. WOW!I Love It!!! I love your designs and the colors are beautiful. Can't wait to make something with this collection! These are great! I love them! So very pretty, thanks for the chance to win! Popping up in New Zealand even! Fabric is wonderful – congratulations!! Congratulations! Those are some cute prints, I am so glad they are finally available! I so love that your mum left the selvedge on the apron. Such a proud mum thing to do. Cherish her! I also love the colours you've used – delicious! Pretty pretty fabric! thank you for the chance! Have a great week! Wallflowers is a sweet pattern. I can't even pick a favorite. My granddaughter's room will be brighter with a quilt with Wallflowers patches. Over 600 comments..what a great support team!!! Love the modern retro fabrics. My favorite thing though is the apron your mom made with the selvage on it showing your name!! Wonderful job!!! So adorable!!! I'm so excited for you! Sounds like a TON of work, but so rewarding. I can't wait to get my hands on some – I've got some patterns of yours that would be perfect! Congratulations! I'm stopping by my LQS and check it out today! I just saw your Wallflowers fabrics in our local quilt shop–and I love them! Can't wait to make a quilt from them. I love this. It turned out just beautiful! You are so talented! These fabrics are simply gorgeous! They are lovely on their own and dynamite as a set! So inspirational! The fabric is gorgeous! You must be so proud! Wow! Your own fabric line. Congrats! Very pretty. The little girl's top is darling. Beautiful fabric! Can't wait to sew with it. Beautiful fabrics! I could just stick them each in their own frame and hang them on a wall and look at them all day long! Thanks for sharing! Such beautiful fabric! Congrats!! Can't wait to get my hands on some! I love love love it. I'm clicking the links of where to buy now. I cant wait to see what creation I can come up with. What lovely fabrics. I adore the colours. Have a great day. How sweet is that apron! Of course your mom left the selvages on! I would too if my daughter designed a fabric line:). I bet she is so proud. 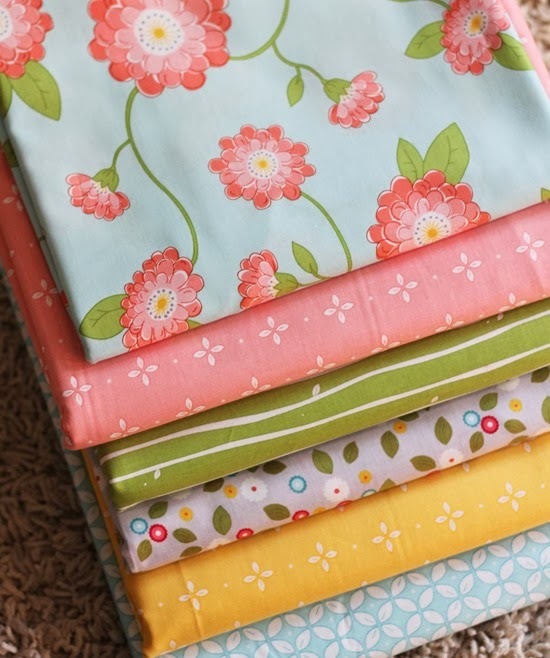 I already got a fat quarter bundle from the fqs the day it was available and then talked my sister into using some of the prints for a quilt along we are doing together, so we had to order some more! The colors we are using are red, blue, and yellow and it goes so well with a Riley Blake fabric called Enchant. I don't go in for the novelty prints too much anymore so we used your flowers as the more focal fabric of the design. Btw, I just love the tree fabric in gray. I like how you made the leaves go both ways so there really isn't an up or down which can be a pain, especially to a new quilter. We both love it! This is a great collection! I love the clean look and vibrant colors. Good luck! Congratulations on your fabric line! Love it! I liked getting a peek at your sketch of it. i love it!! i'm working on a quilt for my daughter's room and these prints would be perfect to add to it! Love your fabric!! I sure do enjoy checking in with your blog. Love your designs and colors in this line of fabric. OMG! Wallflowers is amazing. My kind of colors too. The apron your Mom made is so cute! Congrats you should feel very proud. Absolutely love these fabrics. Can't wait to show my little man, some of them I think are just what he might be looking for as the backing to the quilt I am making him. Congratulations! The patterns and colors are lovely. I've been making quilts from the book, they are great patterns. Lovely fabrics! Beautiful, beautiful! I love it all!!! Watching you grow from afar has been inspirational… Congratulations…and I always pop in to see your Bub! Little girl now! She grows too. Ooooooo! Like! Really, really like. And do I see that some are available in laminates? Thanks for the chance to win. Thank you for the chance to win your beautiful fabrics! Love the blue dress….what's the pattern? Congratulations on your first fabric line in the shops! My local quilt shop here in Australia just advertised that Wallflowers has arrived. Beautiful fabrics! Thanks for all of your hard work. How exciting to have it in your hands! What beautiful fabrics…I can't wait for the next set! Very beautiful collection of fabric! Great job! Gorgeous!!! Congratulations!! I would live to sew with those beautiful fabrics!! Beautiful! It would look great on a quilt in my daughter's room! Congratulations on this huge accomplishment! Hi, I have rediscovered quilting after a 12 year hiatus and have also fallen in love with your blog. There weren't many quilting blogs when I first started but there are so many now. Yours is in my faves. Love your design and colour sense. Congrats! Your fabrics are gorgeous! Wow, we can have Summer going into Winter. Beautiful fabrics! This is such a gorgeous collection!!! Wow! What beautiful fabric. I can't even imagine how proud and excited you must be feeling. I LOVE beautiful fabric and wish that I had the talent to create it — I can envision, I just could never actually design as I can't even draw a stick figure. This is why I'm getting into quilting — hoping to create beautiful items that others will enjoy. Congratulations! Beautiful fabric line! I can see so many new project possibilities! I love this line. I just bought some in my local quilt shop to make a quilt:) I have been eyeing since you put it on your blog! Your Wallflower line is beautiful…I am especially inspired by the darling little dress!